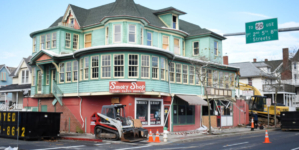 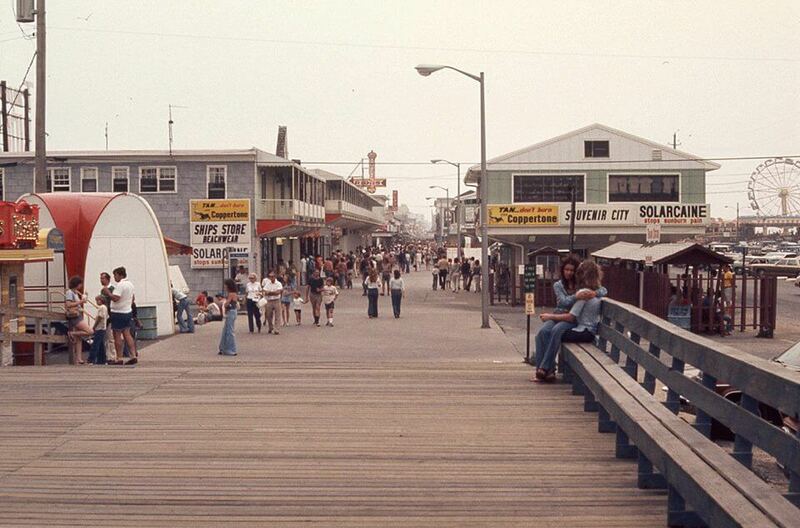 Often referred to as the heart and hub of town, Ocean City’s “South End” at the Inlet has been hosting families and making memories for well over a century. 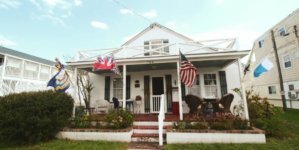 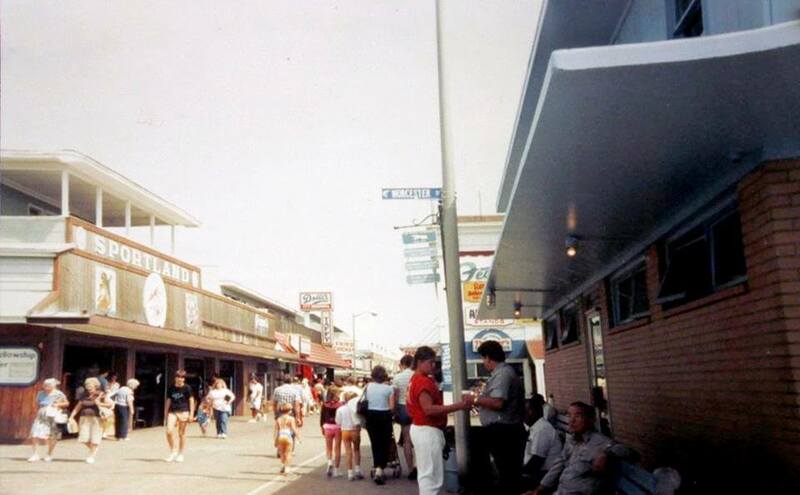 It’s gone through many major changes through the years but it’s proven to never disappoint those who venture down to take in the exciting lights, memorable sounds and nostalgic smells of the most southern few blocks of town. 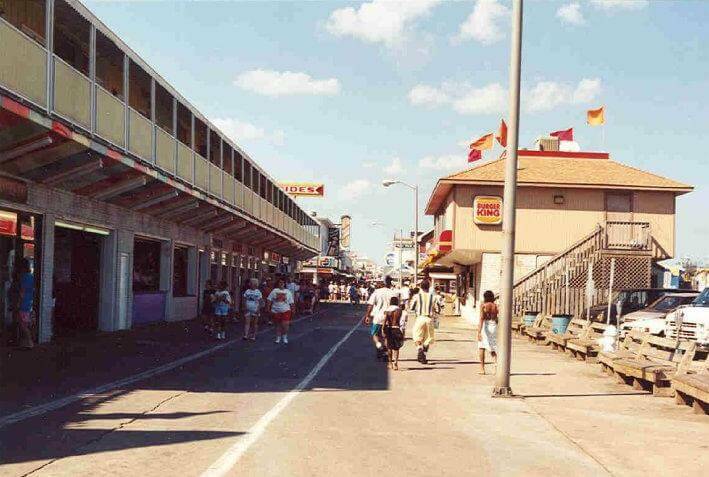 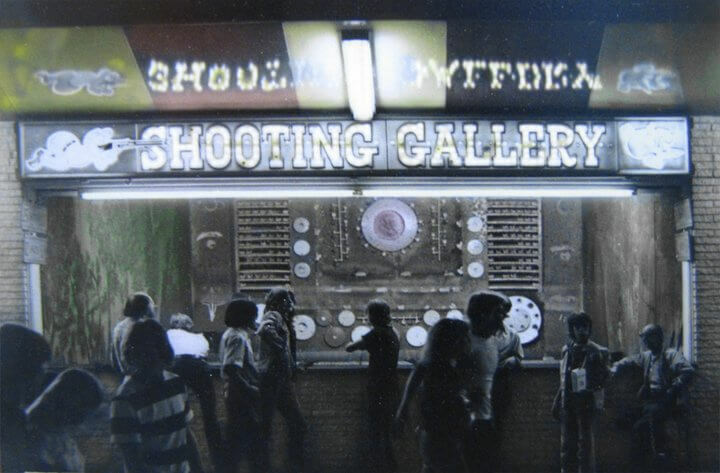 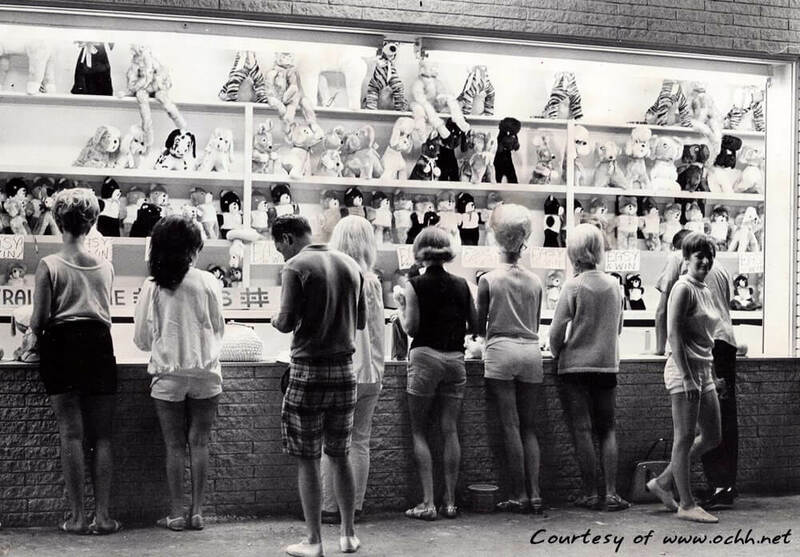 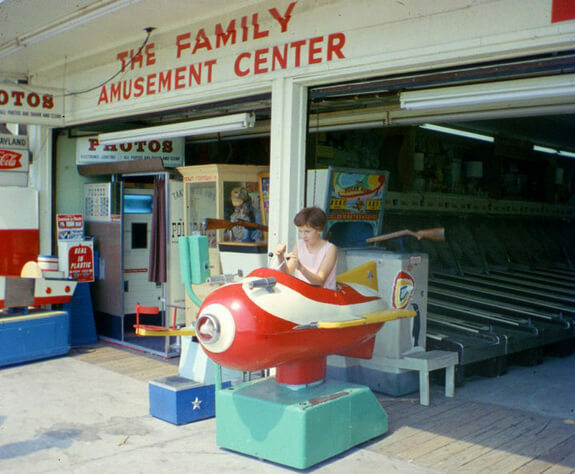 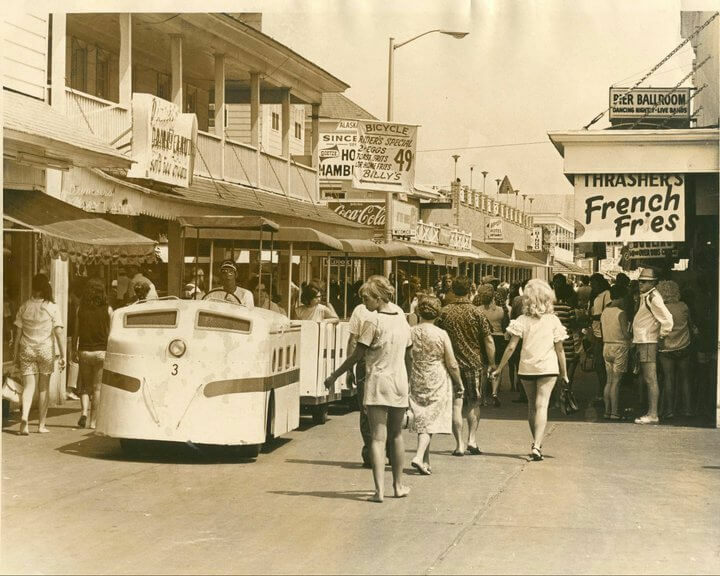 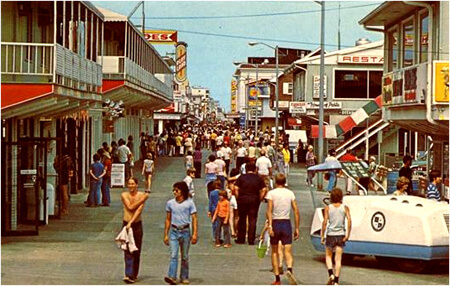 Enjoy a virtual journey back through the decades of Ocean City’s famous boardwalk at the South End. 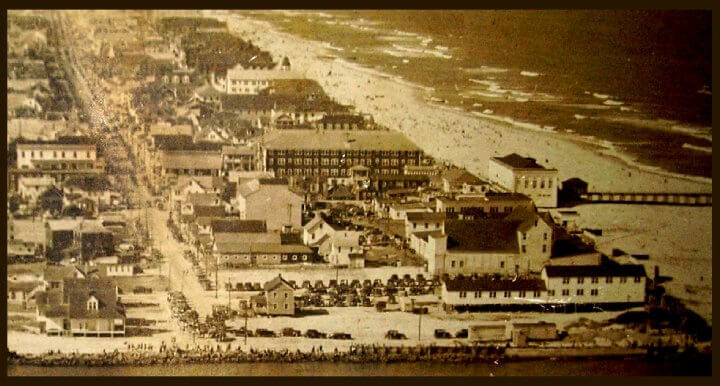 Early 1920s, prior to when the pier building burned down in December, 1925. 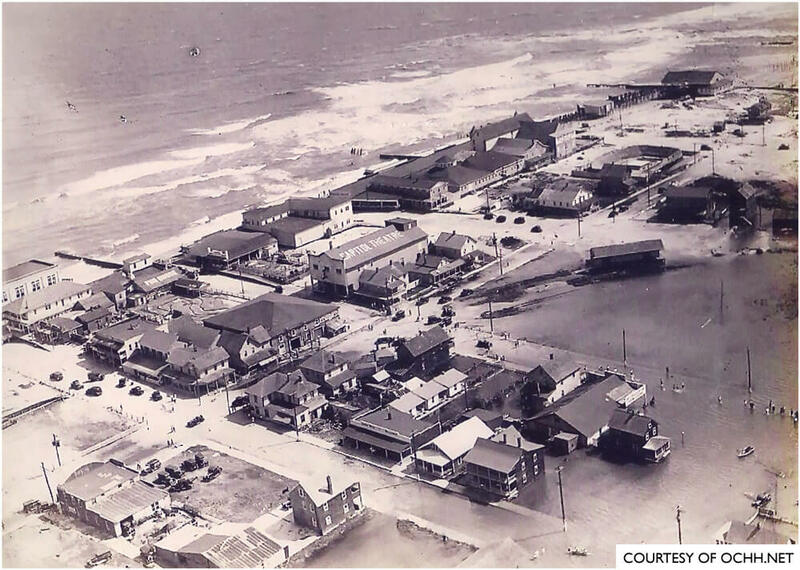 The day after the storm of 1933. 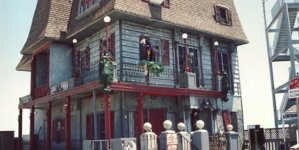 Jester’s Funhouse and the old Capitol Theatre can be clearly seen here. 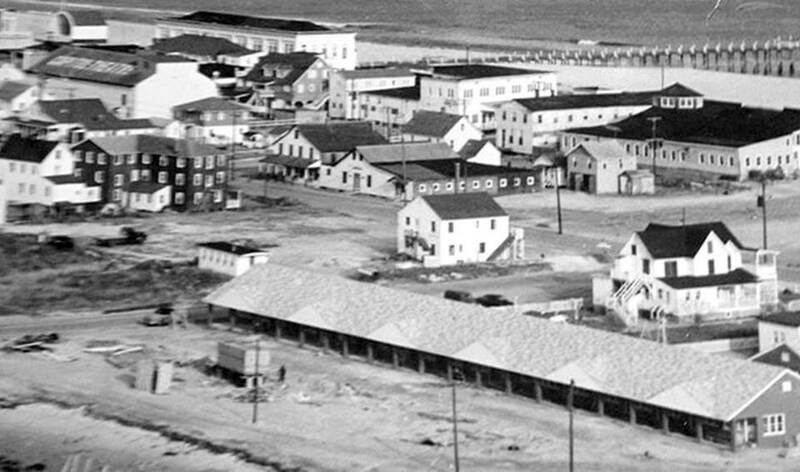 1940s, shortly after Trimper’s Inlet Lodge was built. 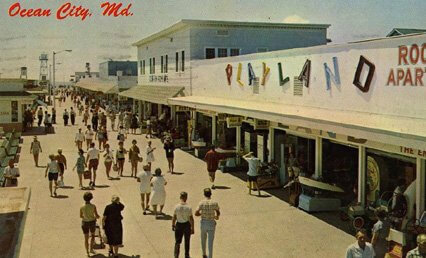 1950s in front of Marty’s Playland. 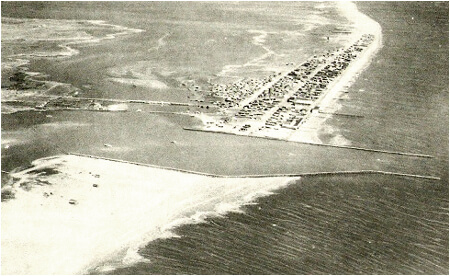 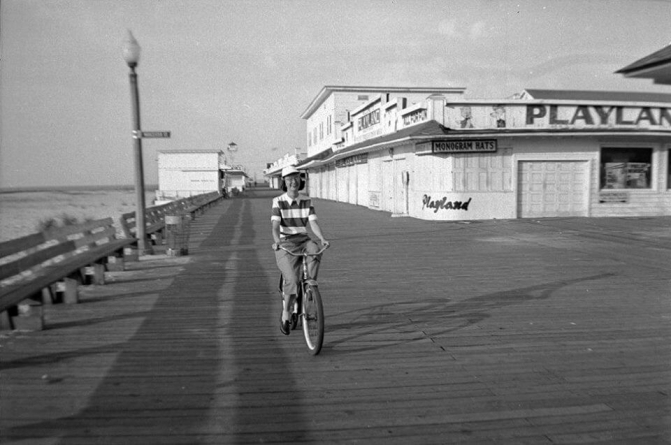 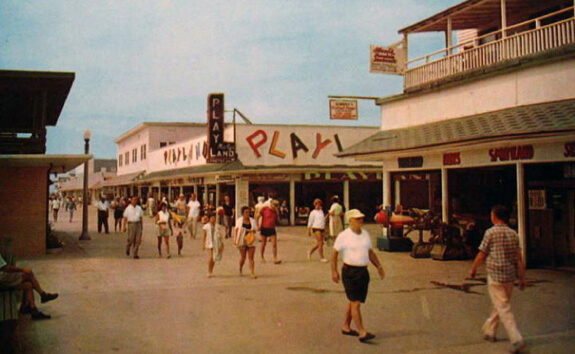 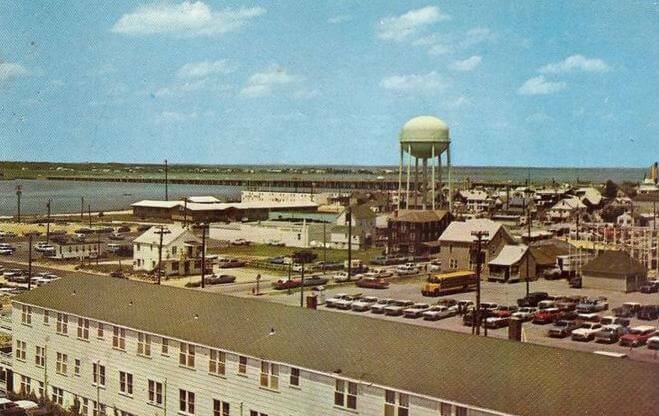 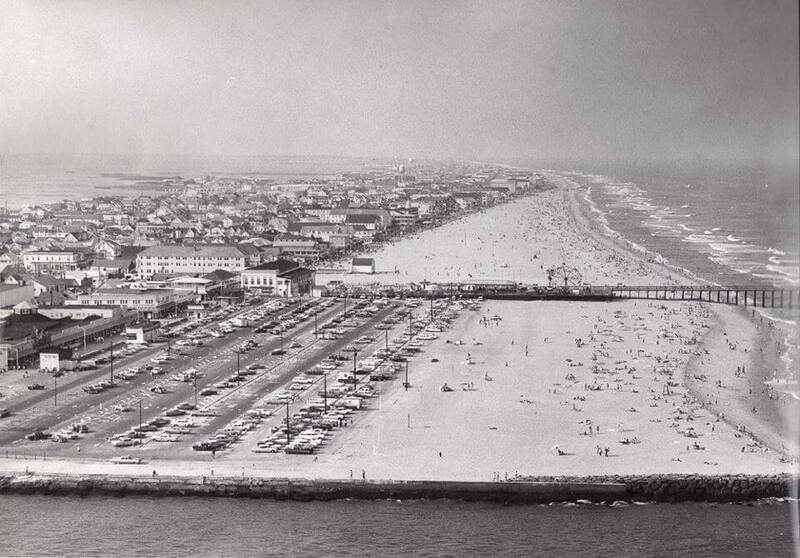 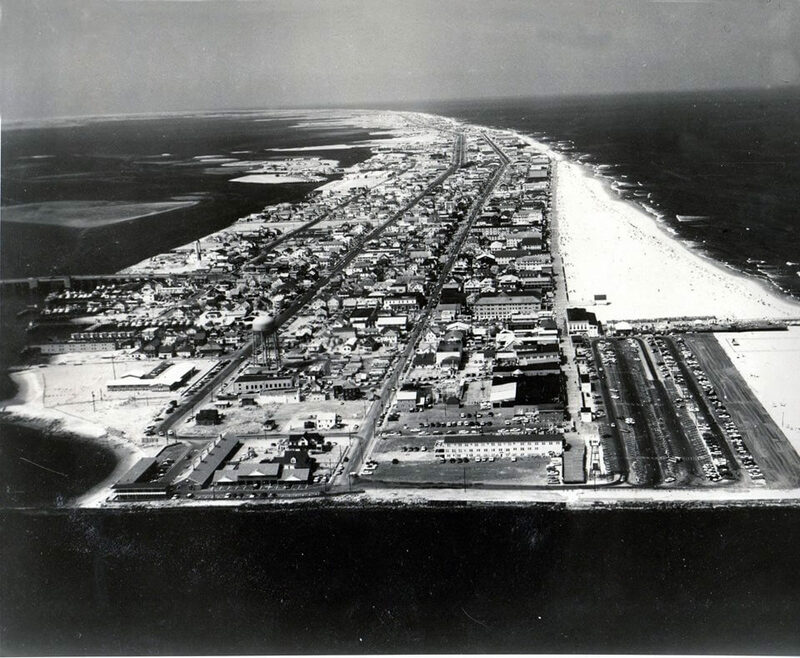 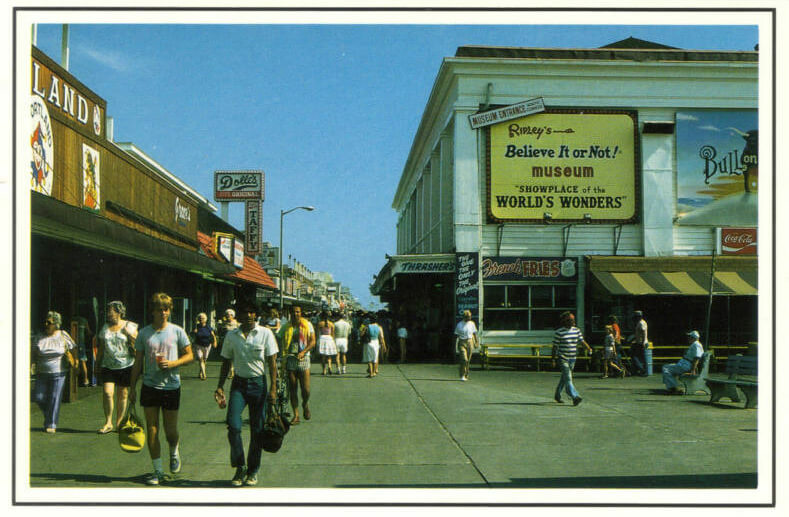 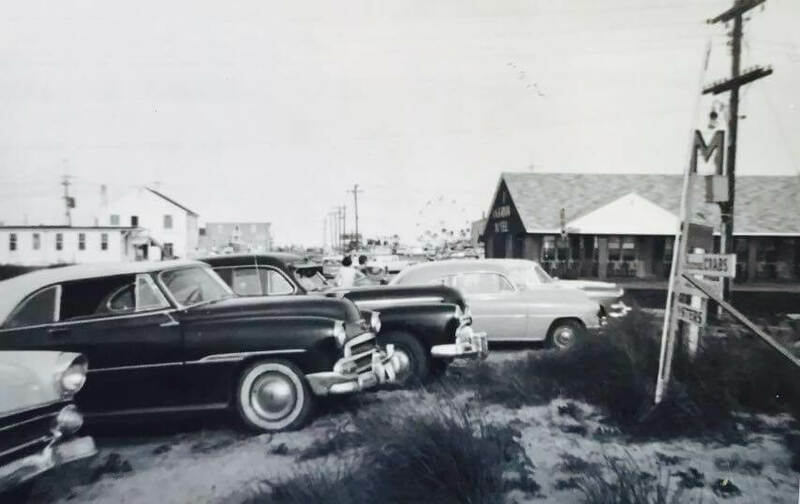 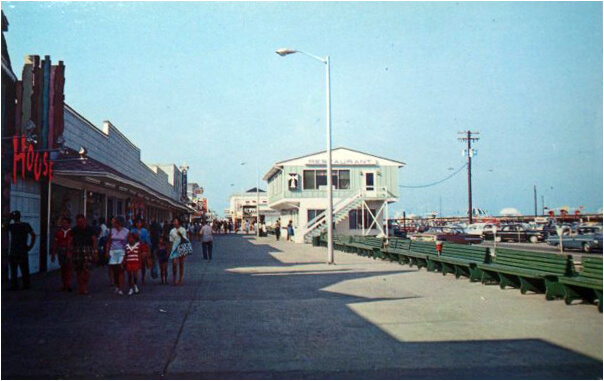 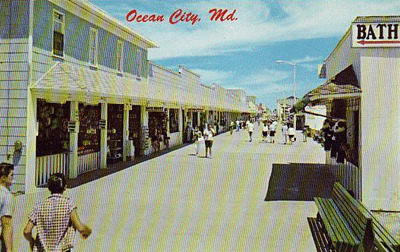 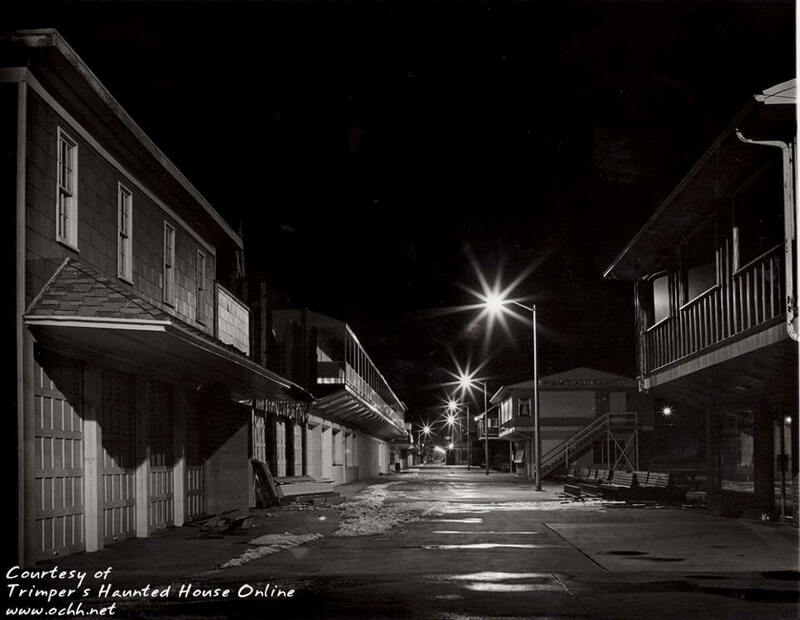 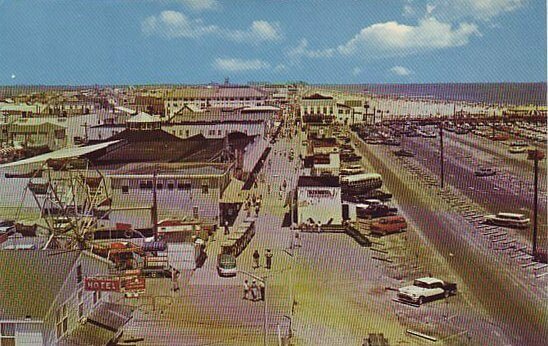 1950s – A view of the boardwalk buildings that now house Inlet Gifts, Trimper’s Haunted House, and several games. 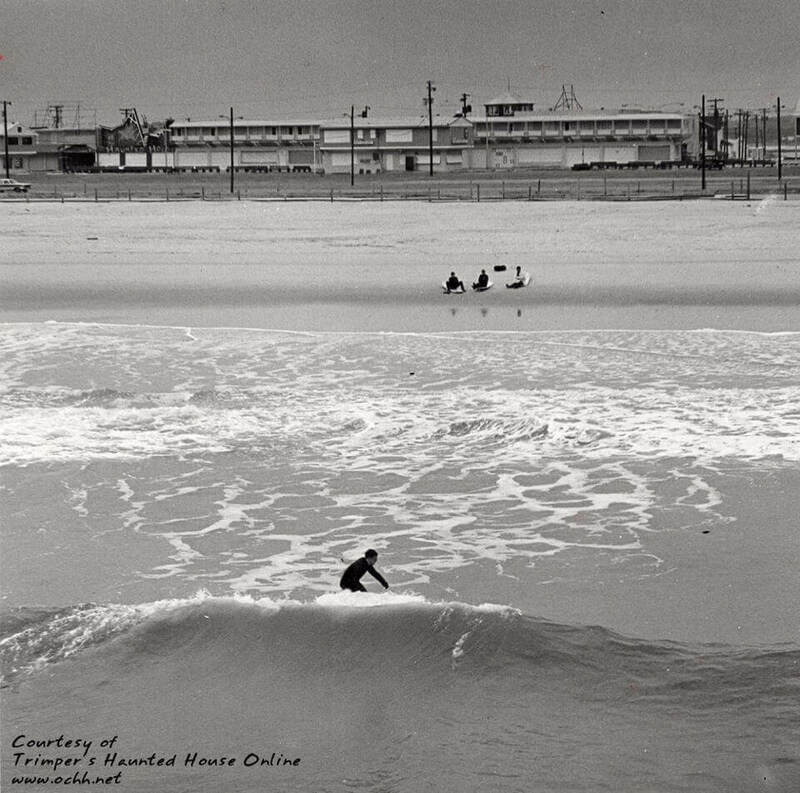 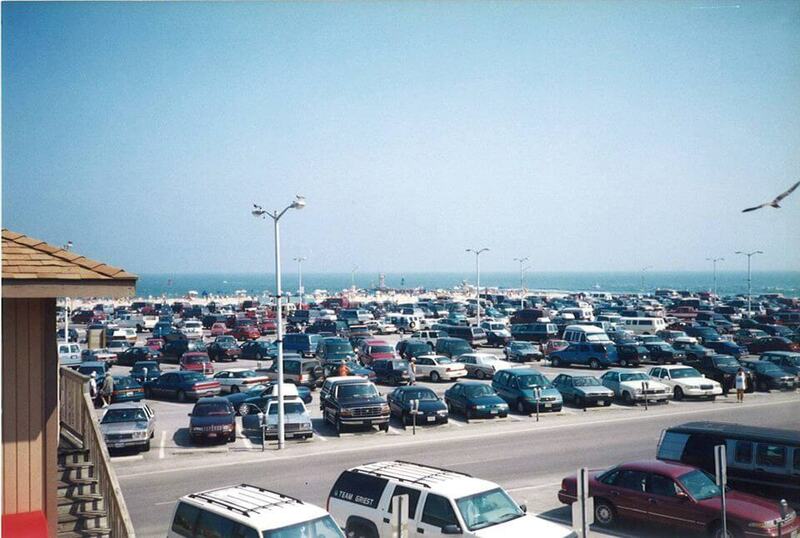 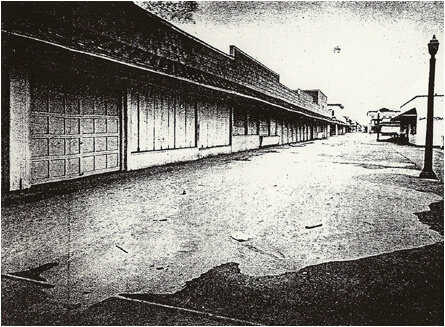 1950s – Rare view of the lot that now houses Trimper’s Rides. 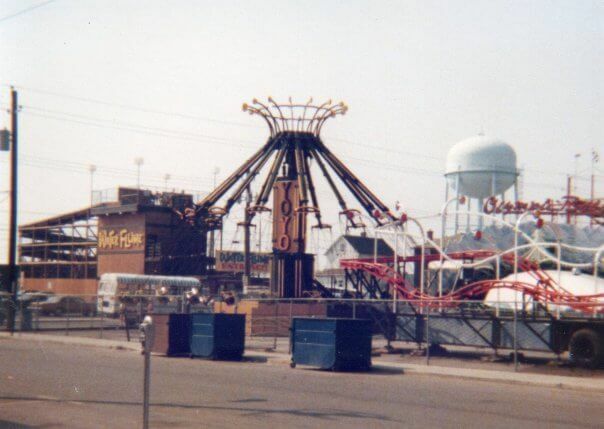 Back then, many small buildings stood on the property behind Trimper’s Merry-Go-Round building. 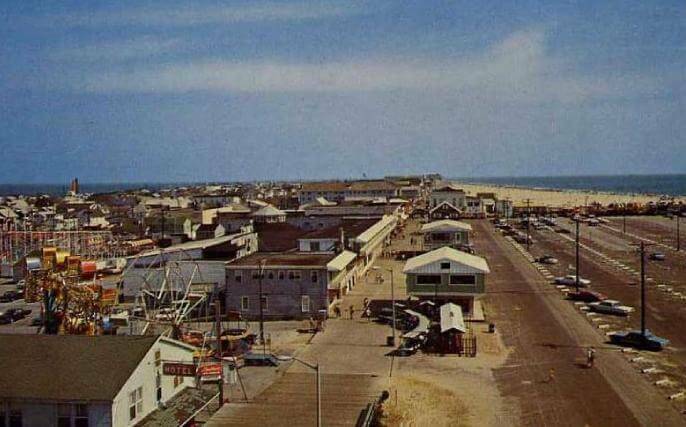 July 1958 – Looking east from the Oceanic Motel. 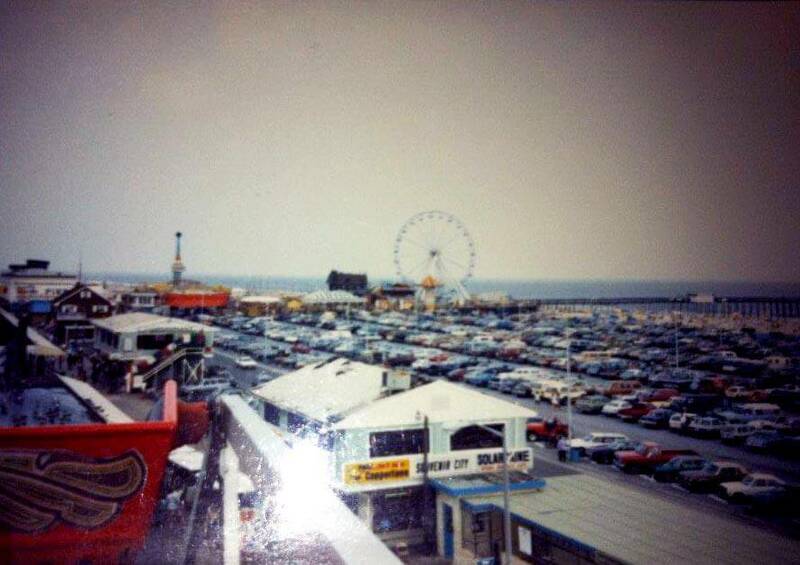 Granville Trimper’s Eli Ferris Wheel can be seen in the distance. 1962 – Flooding on the boardwalk from the Storm of 1962. 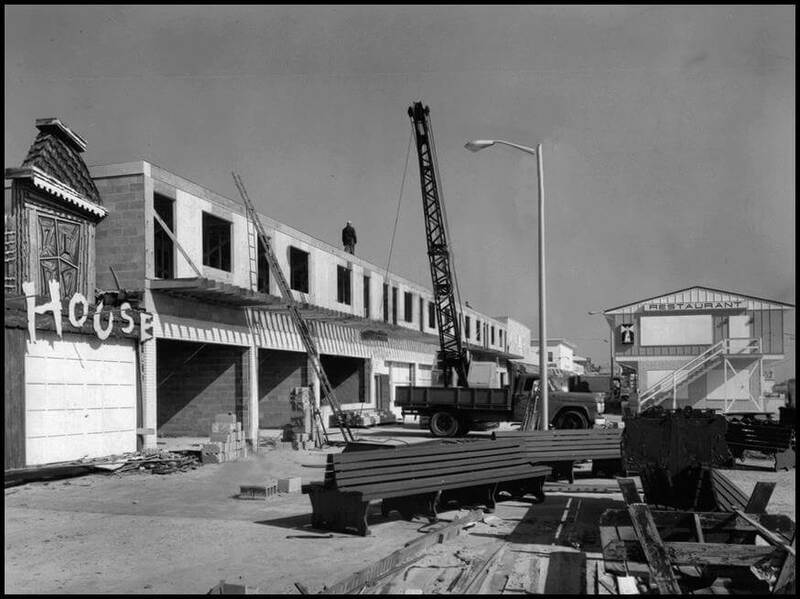 April 1967 – The second story apartments are being constructed on the boardwalk front. 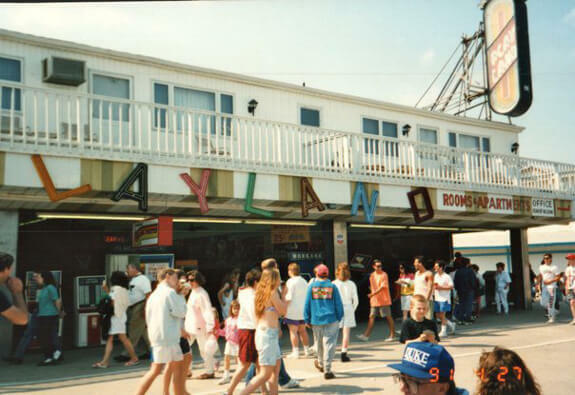 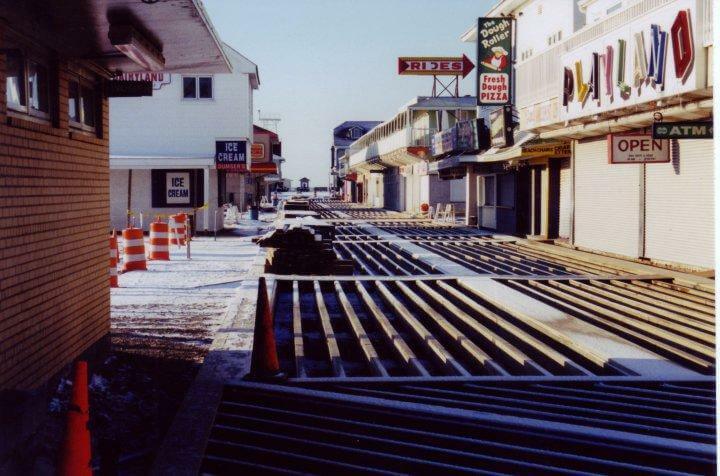 Late 1990s – Boardwalk replacement. 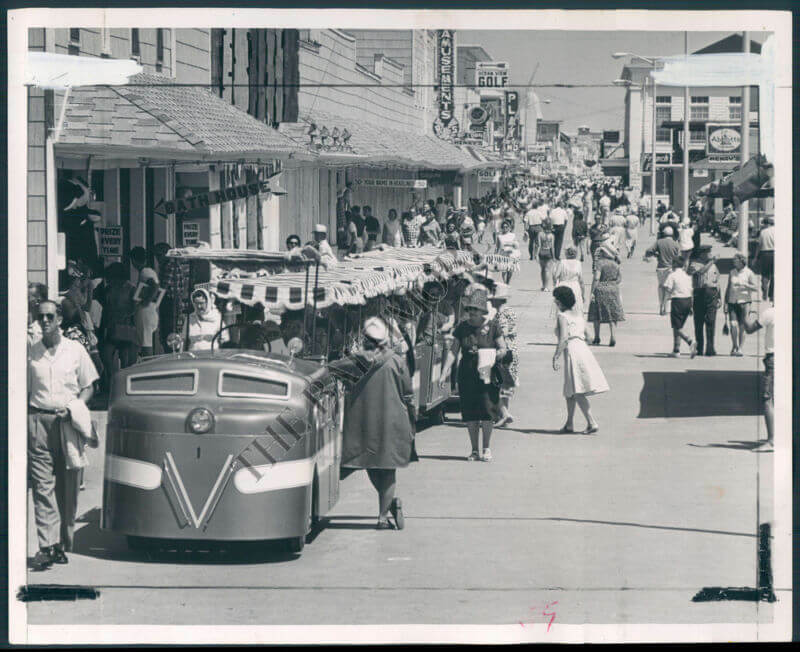 All historical photos are property of their respective owners and are being featured for viewing purposes only. 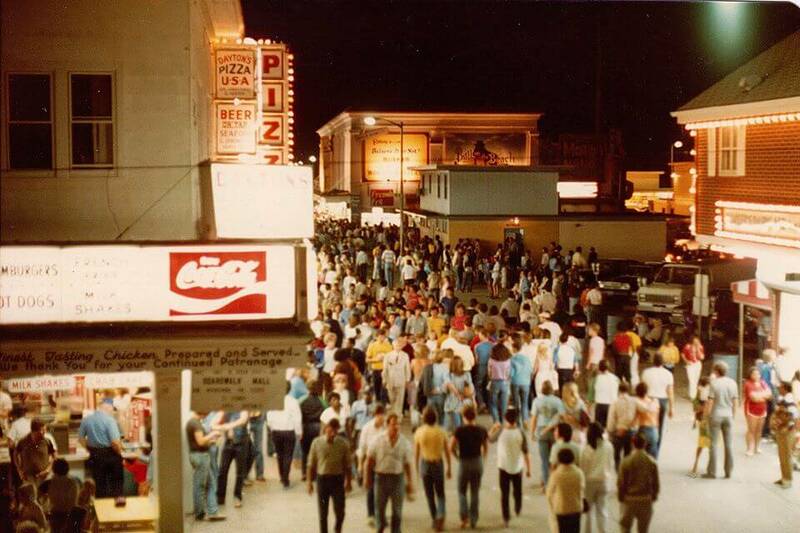 Great picts, including a few I have not seen before!. 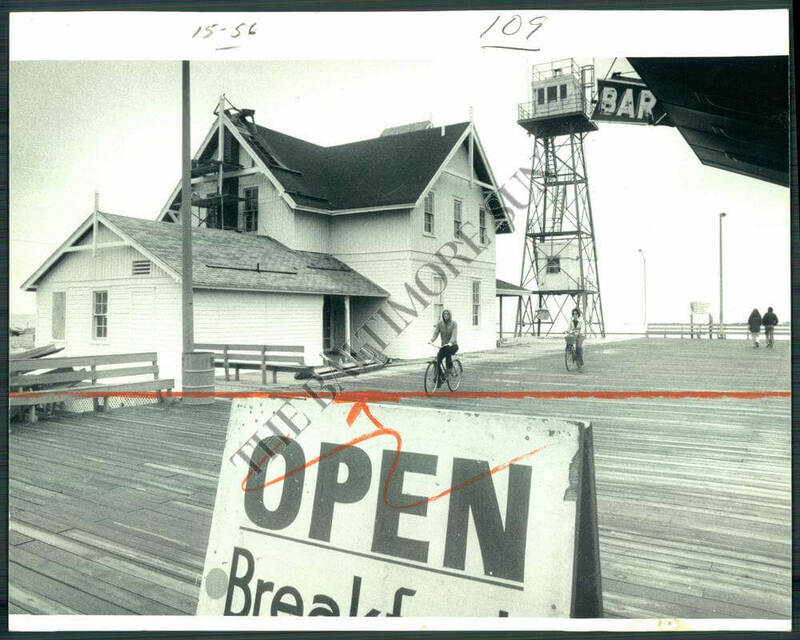 One fix – Your first picture is labeled as the 1930s, but you can roll it back and start your timeline even earlier! 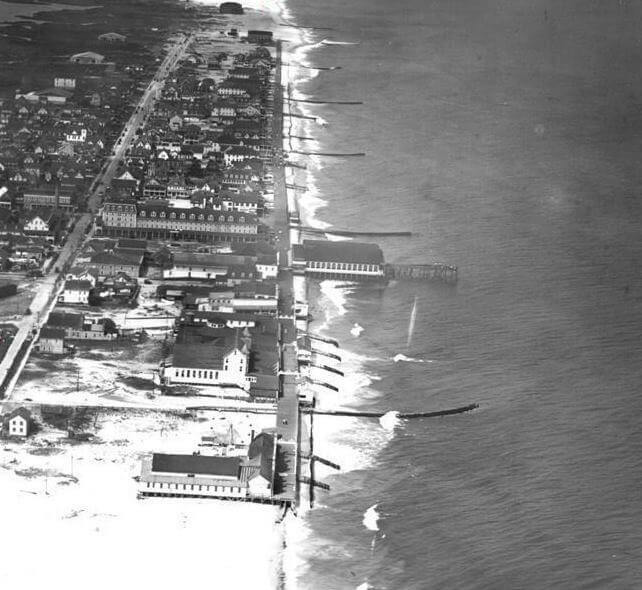 It is from 1925 or earlier as it shows the old pier building which burned in December 1925. 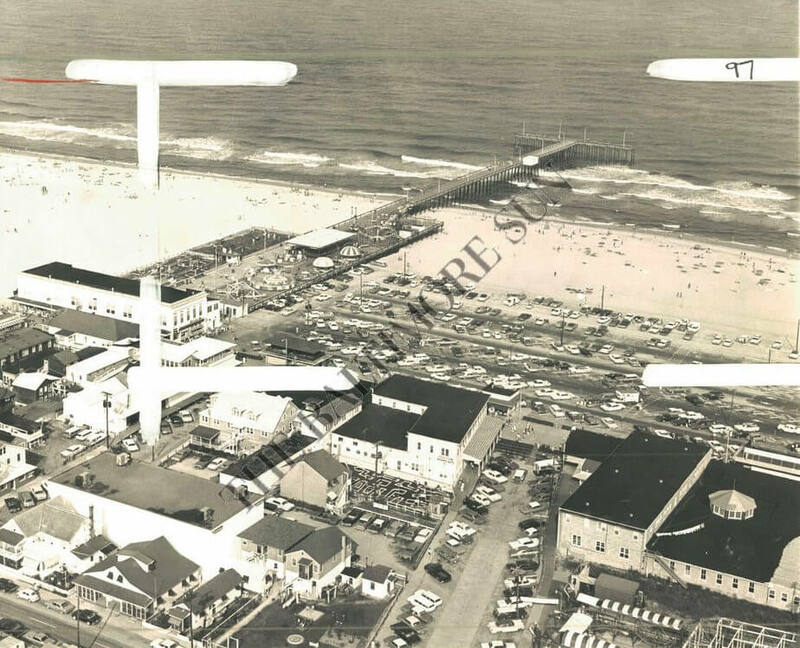 Also, your first 1960’s picture is likely from 1964 as it shows both the new Coast Guard Station and pier rides, both of which arrived in 1964. 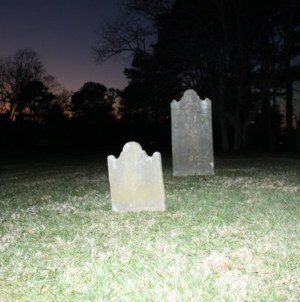 I’ve enjoyed the recent articles. 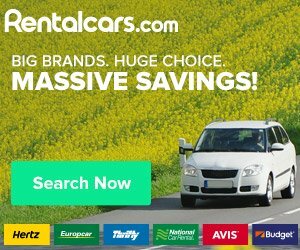 Cool, thanks for letting us know! 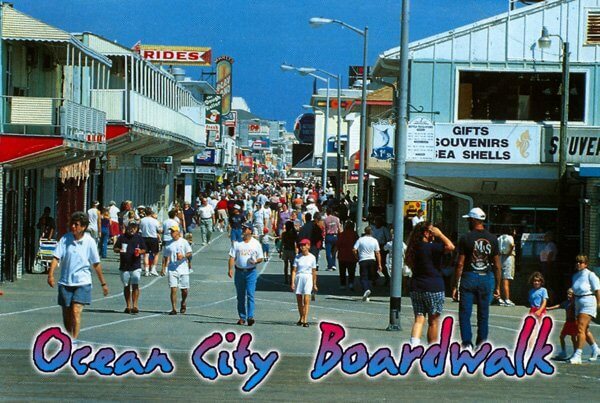 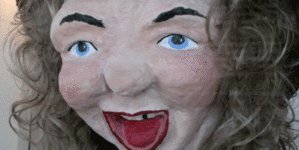 Ann,Kristin WOW that was such a cool blast from the past, well done and loved it,keep up the great work.